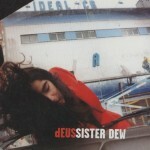 You can see the Sister Dew video if you play this single on a PC or a Mac. 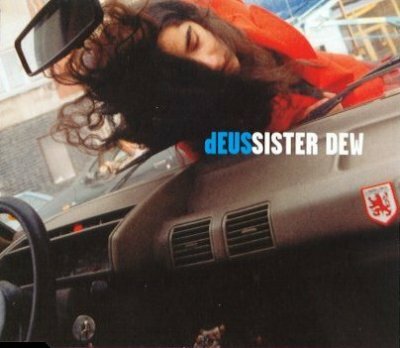 There’s a mistake in the software : it says “dEUS – Sister” instead of Sister Dew. The shooting of the video took place near Stockholm on April 23-24, causing the gig in Malmö (Sweden) to be cancelled. 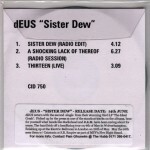 The “session” versions were recorded during the dEUS performance on Dutch radio show “Twee Meter Sessie” in May 1997. “Thirteen” is a song written by Alex Chilton with his band Bigstar. 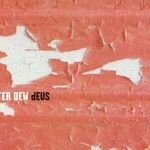 Performed by Tom Barman and Craig Ward at Doornroosje, Nijmegen (NL) in 1997. 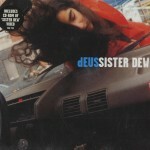 The acoustic version of Gimme The Heat on the Humo CD-ROM comes from the same gig. This comes in a slightly larger cardboard case with an “exclusive” album poster. The artwork comes from the Ideal Crash booklet ; European tourdates are printed on the back.